Pune is the 8th largest metropolis in India. It is in the Indian state of Maharashtra. The city is famous for the great Maratha king Shivaji Maharaj. The game of badminton was invented there in the 19th century. It is also the birthplace of spiritual teacher Meher Baba. Mula and Mutha are the two rivers that flow through the city. It has also been referred to as the "Queen of the Deccan", "Oxford of the East", "Detroit of India" by some. It has a major Information Technology (IT) center. This city is managed by the Pune Municipal Council (PMC). Pune is a city of knowledge and often known as the Oxford of the east. In Marathi, it is known as vidyeche maherghar which means, the hometown of education. Till 2015, the population of Pune was 8,242,142. The name Pune comes from the Sanskrit word - Puṇyanagara. It means "city of virtue"Pune is known for its educational facilities, having more than hundred educational institutes and nine universities. 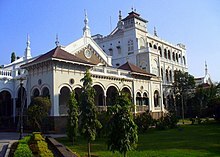 Pune has well-established glass, sugar and metal forging industries since the 1950s. Pune is also known as the "Oxford of the East. "Pune was once the centre of power for the Maratha Empire. It is known to have existed as a town since 847 AD. Pune was the first capital of Shivaji Maharaj. It is the cultural capital of Maharashtra. There are many historic places like Shaniwar Wada, Lal Mahal and many museums like the Aga Khan Palace, Raja Kelkar Museum, National War museum, etc. The climate of Pune is suitable to reside in, hence a large number of people settle here. Today, Pune has many complexes, shopping malls and multiplexes but I would never forget places like Tulsi Baug, Kesari Wada, etc. There are many research centres present in Pune. Students not only from other cities and States come here to study, but international students from various countries are also found here. There are many clubs for different sports activities in this city. The main attraction of the city is the Ganesh festival which is celebrated with great joy, this is because the people of this city are co-operative. There are many educational institutions like Symbiosis, SP and Fergusson. Many people in Pune are food lovers, there are numerous hotels, restaurants, coffee shops along with famous bhel-puri and wada pav centres. ↑ Pune Metro Area Population. World Gazetteer. Retrieved 7 July 2012. This page was last changed on 16 September 2018, at 14:34.